Part of the loan from UK Export Finance will be spent on a Canadian steel mill. You might imagine that Roman Abramovich, reported net worth $7.9bn or £5.2bn, wouldn't need financial assistance from the state. 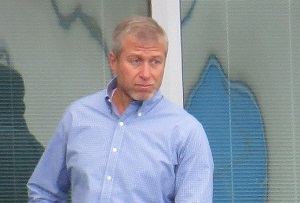 But Evraz, the steel and mining giant that is 30.8% owned by the Russian oligarch and Chelsea FC owner, is due to receive a £45m loan from Britain's export credit agency. The loan is part of the UK Export Finance 'direct lending' scheme launched last year by the Government in a bid to meet its target of doubling exports by 2020. The scheme lends money to overseas importers of British goods and services in the hope that it will create jobs in the UK. According to the Times, Evraz will use some of the cash to pay Primetals Technologies (a joint venture between Siemens and Mitshubishi Heavy Industries) to upgrade its steel factory in northern Canada. Primetals is based in London and has an office in Sheffield, though it also has operations across Europe and Asia. The news contrasts sharply with what's going on in Britain's own steel industry. That the government is lending to billionaires to help them build a steel mill while letting the SSI plant in Redcar be mothballed will not go down well with some. It's all-the-more controversial because Evraz's credit rating is less than shining, 'towards the safer end of the junk bond spectrum,' according to the Times. But UKEF says all the 'appropriate checks' were made, and the point of direct lending is to help the UK win business with companies that aren't able to access credit easily. If the loan does help improve the economy of Sheffield then it won't be totally without merit. That won't placate Abramovich's detractors, but they can at least take some solace in the fact his football team was whooped by Porto in the Champion's League last night.